entertainment for your wedding or event? I'm Chris Stewart, a multi award winning close up magician specialising in walk around and table magic. I am proud to be the highest rated West Yorkshire magician on Google with over 100 five star reviews online. My style of close up magic is ideal for weddings and events because it works in most venues, is highly interactive and appeals to people of all ages. I will help break the ice, keep everyone entertained and create a great atmosphere that people will remember. Check out the links below and choose which best suits your upcoming event. Look below for reviews or scroll to the bottom of this page for a video of me performing at a recent wedding. Getting married and need something to wow your guests? 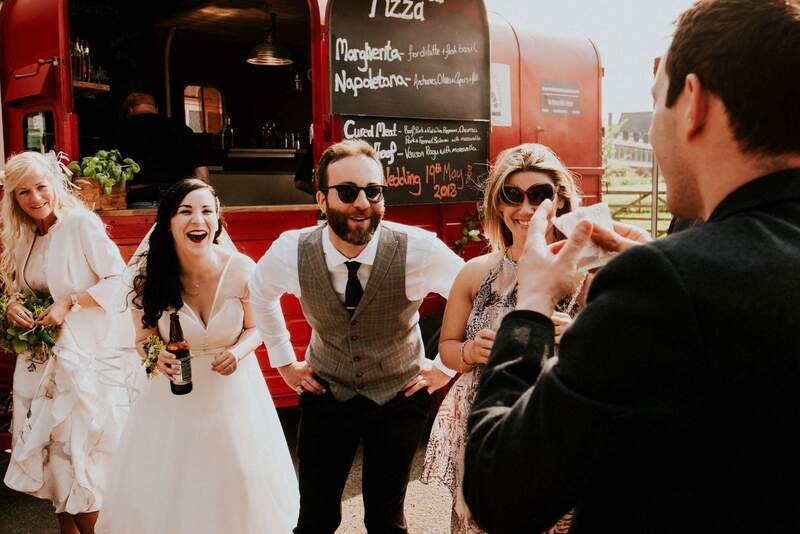 Do you need a wedding magician for your big day? Having a birthday celebration, Christmas or new years party, school prom, formal dinners or get togethers? Whatever the party, I can help. Putting on a festival, fete or other public event? Having a product launch or opening? Are you having a family fun day or company event? 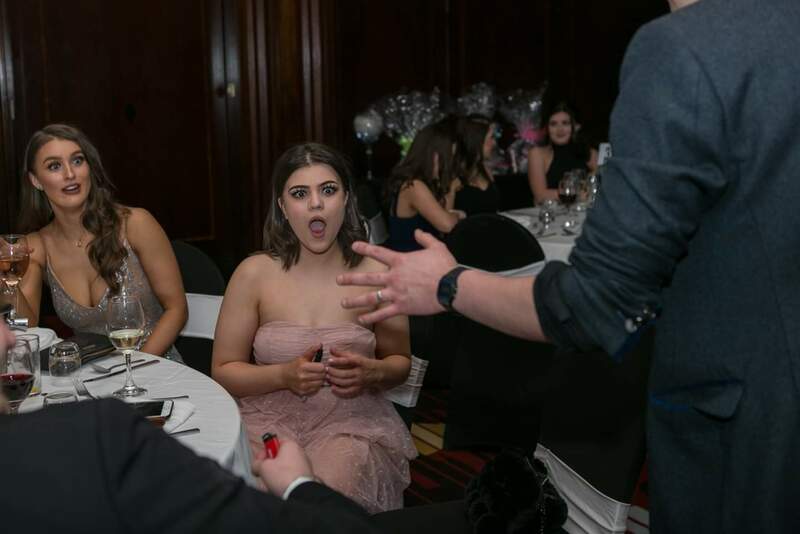 We booked Chris for our wedding in October, Chris was absolutely amazing, he worked his way around everyone in the room and literally left everyone speechless, even the most cynical of guests were absolutely amazed. Truly one of the best magicians I have ever seen, our guests are still talking about how brilliant he was months later. But apart from wowing our guests Chris was a dream to work with, He worked his socks off and literally didn’t stop until it was time for us to sit down for our meal. He looked really professional, in fact many thought he was a guest until he performed a trick which made for a great surprise. Kids and adults adored him. Would not hesitate in recommending him, thank you Chris for making our day extra special. 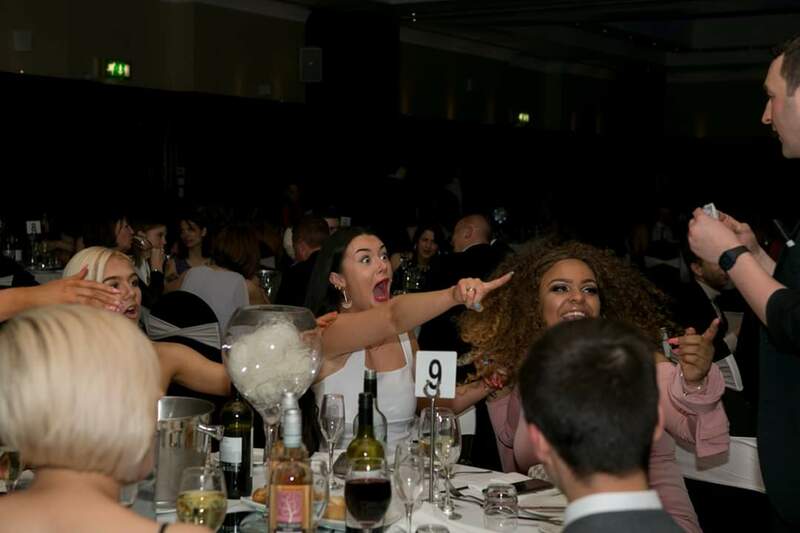 Chris attended a work event that I organised in Manchester on 26th April 2018. 90 minutes of magic, had everyone glued to him and people were still talking about him the day after. Highly recommended and would certainly look at hiring him again. Thanks Chris, you totally made the evening. Chris performed at our Golden Wedding on 30th September and I am still hearing from our guests how excellent he was. He was scheduled for an hour during the meal but performed well beyond that. If you are looking for something a little different for your function then you cannot go wrong with Chris and I do not hesitate to recommend him. Chris performed at our wedding blessing on the 20th Januray 2018, we booked him as we thought it would keep the kids entertained and we were not wrong, the adults were also highly entertained - his tricks were amazing, watching peoples faces was fantastic and the amount of gasps, cheers and woos took over the afternoon. Honestly I could not recommend Chris highly enough, we are trying to sort out another party just so we can have him back!! We booked Chris for a small family party on a Sunday afternoon. Guest ages ranged from 6 months to 90 years plus guests with disabilities. The magic was great as was Chris who presented fabulous magic that delighted the youngest to the oldest. Very good and highly recommended. Chris was amazing. Everyone loved him. I could hear tables laughing. He also did a special little trick for the children to take away and practice. So many compliments afterwards. Thank you so much. Chris came to our wedding last night and was amazing! He is such a nice fella and funny as well as a fantastic magician! Everyone who was there commented how good he was! So glad I booked this man and hope to book him again for future parties! Planning something totally different? I am always available to discuss your event, magic and what I can do for you. Feel free to give me a call anytime. I am a Leeds Magician but I cover all over West Yorkshire including Leeds, Keighley, Bradford, Pontefact, Castleford, Wak­efield, Halifax, Huddersfield as well as other places in Northern England including Sheffield, Harrogate, Knaresborough, York, Manchester and more. Want to talk about your event and what I can do? Thanks for visiting. I’m Chris Stewart, a professional close up magician specialising in walk around and table magic. My style of magic is ideal entertainment for a large range of events as it works in all venues and appeals to people of all ages. Something different? I am always availab­le to discuss your event, magic and what I can do. Feel free to give me a call. Based in Rothwell, Leeds I cover all over West Yorkshire including Leeds, Bradford, Wak­efield, Huddersfield as well as Sheffiel­d, Harrogate, York and more..
Getting married and need something to wow your guests? 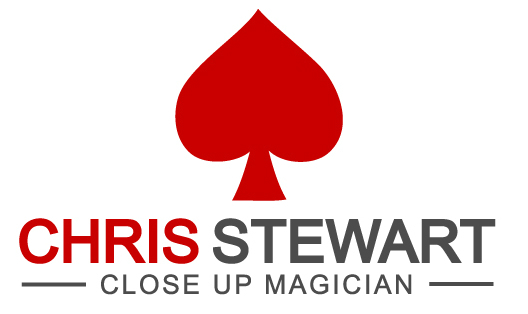 © 2018 Chris Stewart Close Up Magician. 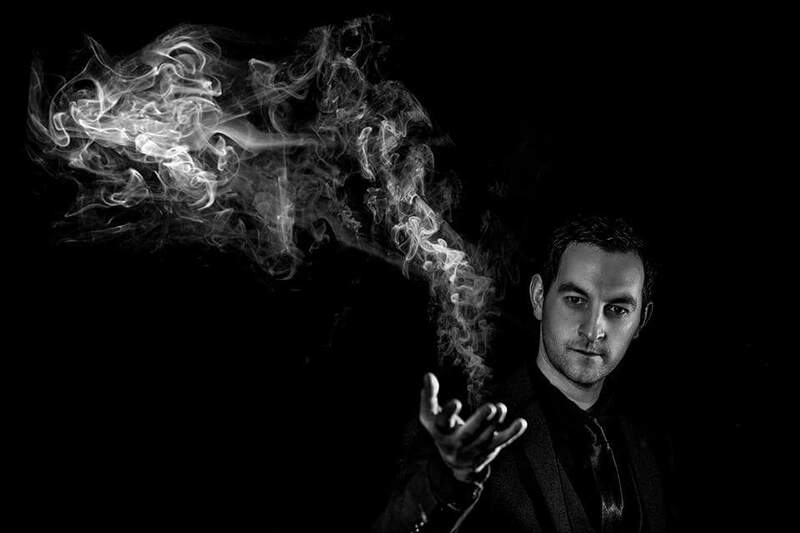 Leeds Magician for Weddings, Christmas Parties and Events. All Rights Reserved.